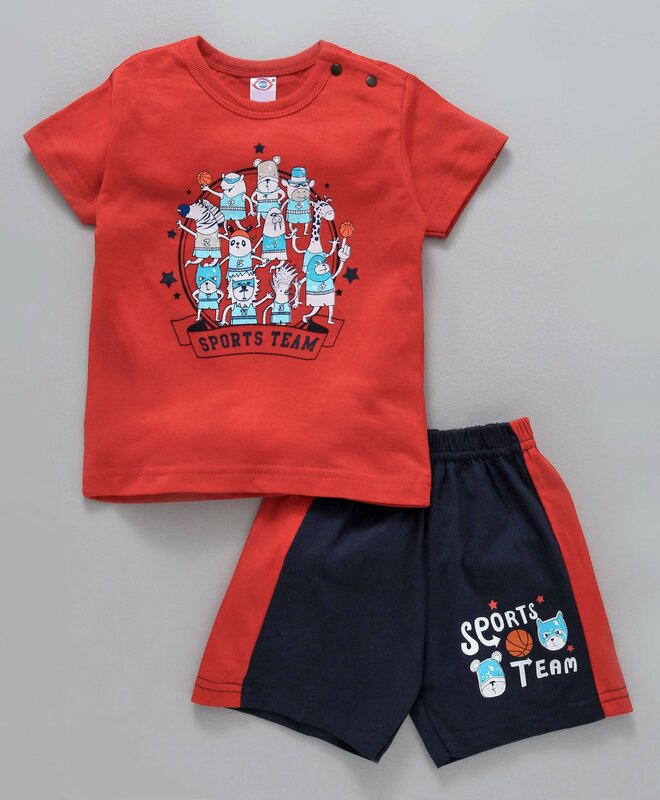 Zero offers this stylish and comfortable half sleeves vest and shorts set for your adorable little one. The vest features 'Sports Team' print and elastic waist shorts ensures comfort fit. Made from soft fabric, this set will ensure maximum comfort to your little boy.